Beattie Passive is delighted to offer our award winning Passivhaus homes for the Custom Build market. Ranging from carefully designed developments with a choice of plot sizes and layout options through to bespoke sites in the UK, we combine high quality, super insulated homes with the flexible custom build experience to deliver your dream home. Beattie Passive Custom Build delivers quality, choice and flexibility. We work with you to reflect your individual character and the needs of you and your family, now and in the future. 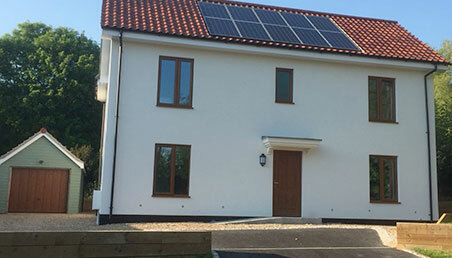 Bringing your dream home to a Passivhaus reality. We provide an award winning, innovative offsite timber frame build technology that guarantees the performance of Passivhaus, the gold standard of energy efficiency and ensures you have unique, low energy, high performance home. Our patented and certified system, is designed and manufactured in the UK, delivering homes of the future, today. Differing slightly from traditional ‘Self Build’ projects, Custom Build homes involve working alongside a specialist developer to help deliver certain elements of your build project, such as land and utility connections to get you started. Whilst certain aspects of the development may already be in place such as plot sizes and road access, Custom Builds usually still offer a high degree of flexibility in terms of house design and finish. And although the extent of this may vary across developers and projects, choosing the Custom Build route will ultimately offer you both personal input and peace of mind with expertise on hand to guide you through to your completed dream home. Custom Builds can often be a good choice if you are not as comfortable with the full self build process or lack the time to be on site or manage the initial stages of the build. We are actively involved in the high profile development at Graven Hill (Oxfordshire) where the vision for self and custom builds of the future is taking shape. 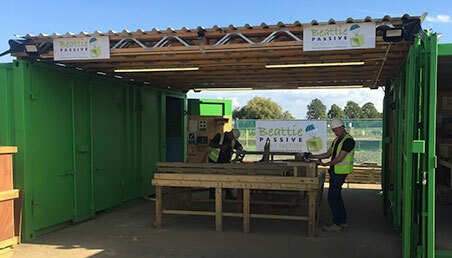 At Beattie Passive, we provide full flexibility for your Custom Build project and can offer varying levels of involvement depending on your individual requirements. Expertise, every step of the way. We are experts in Passivhaus and Custom Build and we work closely with you every step of the way, providing you with the peace of mind that you will own a high-quality home that is designed for you, by you with very low energy bills and a healthier living environment.